Nasir El-Rufai was born in Daudawa in Faskari Local Area of Katsina State on February 16, 1960. He lost his father at a tender age of 8 and was subsequently sponsored by an uncle in Kaduna State. 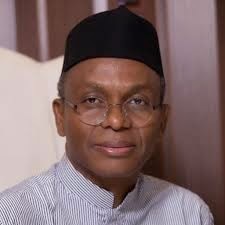 Nasir El-Rufai had his Secondary School Education at the popular Barewa college where he graduated tops winning the Barewa Old Boys Association Academic Achievement Trophy in 1976. Nasir El-Rufai went further to bag a first class degree in Quantity Surveying at Ahmadu Bello University, Zaria. Nasir El-Rufai set up his own consulting firm in 1982 and handled mainly building and civil engineering projects in Nigeria. He later became the Director General of the Bureau of Public Enterprises and the Secretary of the National Council of Privatization from November 1999 to July 2003. Nasir El –Rufai stands out and is known as a man who is against corruption. He had an important role to play in the real estate boom in Abuja backed by the radical transformation of infrastructure and land use practices of the Federal Capital Territory(FCT). With the establishment of the Abuja Geographic Information System within 12months of his being Minister of FCT, Abuja became the first municipality in Nigeria with a computerized land register and information system. In conjunction with the president and members of the economic management team, Nasir El-Rufai led the reform of the Nigerian Public service which had become dysfunctional during years of military dictatorship. During his tenure as Minister of FCT, he oversaw the Federal Ministries of Commerce (twice) and Ministry of Interior. He also chaired several high-profile cabinet committees that led to the establishment of a mortgage system in Nigeria, National ID card system for Nigeria, Electric Power Supply Improvement and the sale of Federal Government real estate in Abuja. As the Former Minister of FCT in the Obasanjo administration, he was seen as the next in command after the president due to President Obasanjo’s fallout with his vice. Many people see Nasir El-Rufai as an incorruptible public servant who can get difficult jobs done. However, since the end of the Obasanjo administration, El-Rufai has kept a very low profile, but still remains an Obasanjo loyalist having frequently defended the former President's policies. In 2008, he appeared before the Nigerian senate committee on FCT to explain some exposed and corrupt actions of his administration. He was alleged to have allocated plots of land to his friends, brothers and cronies. This allegation was however stoutly rejected by the former minister. 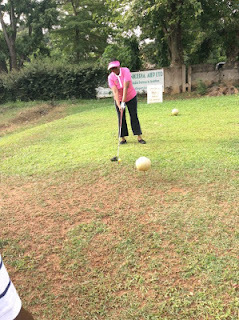 It was however believed that he was being witch hunted by corrupt political big shots as many of the senators had lost properties during the restoration of Abuja. The Economic and Financial Crimes Commission(EFCC) in January 2009,declared EL-Rufai wanted for avoiding questioning over alleged misappropriation of funds during his tenure as FCT Minister. He was also accused of abuse of power and illegal land grabs while he was Minister of Abuja FCT in May 12, 2010. An Abuja high court later acquitted him of the charges in December 2013. Nasir El-Rufai indicated his interest in running for Governor of Kaduna State in September 2014. He went ahead to win the All Progressive Congress(APC) primaries in December 2014. In April 2015, he defeated the incumbent Governor Mukhtar Ramalan Yero with a landslide victory to become Governor of Kaduna State . Despite his northern upbringing, Nasir El-Rufai has always said he is "Nigerian" first before being Hausa and unlike some of his contemporaries, he has never been accused of money laundering or any bribery scandal. Latest News On Nasir El-Rufai. Wife of Kaduna state governor, Hadiza El-Rufai tee off golf tournament in Kaduna state played to herald the Kaduna Investment Forum which comes up in Kaduna next week. El Rufai is Fulani, not Hausa. His family roots are in Fouta Djallon, Guinea-Conakry.